When one thinks of following a career in healthcare, roles such as doctor and nurse spring immediately to mind. However, these are not the only healthcare career options available and there are multiple roles suitable for those with an interest in healthcare, including some more obscure jobs. If you know you want to pursue a career in healthcare, but aren’t certain which path to take, one of these five jobs may well pique your interest. Acupuncture is an ancient Chinese form of healing that involves placing sterile needles on certain pressure points on the body. This specialized career requires extensive training and those wishing to pursue this career path will need a Masters degree in specifically acupuncture, or Oriental medicine as a starting point. Ensure the school you select for the study is accredited by the Accreditation Commission for Acupuncture and Oriental Medicine (ACAOM). 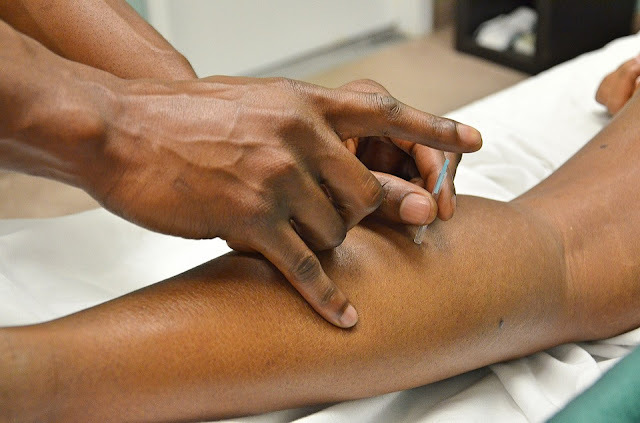 You will usually need at least a Bachelor’s degree to enroll on an appropriate acupuncture course. Respiratory Therapy involves diagnosing and treating breathing disorders. A Respiratory Therapist will also educate patients about handling disorders such as asthma, and other breathing complications. The route to becoming a qualified respiratory therapist is via a respiratory therapy training program. This should be accredited by either Commission on Accreditation for Respiratory Care (CoARC) or the Commission on Accreditation of Allied Health Education Programs (CAAHEP). Best Respiratory Therapy Schools will always offer accredited programs of the highest standards to allow you to successfully practice as a respiratory therapist. A radiologist diagnoses and examines diseases using X-Rays and radioactive materials. Radiology is also used to treat some growths by exposing them to X-Rays and radioisotopes. To gain a place on a Radiology residency program, you must first complete four years of college, pass the MCAT, complete four years of Medical school and complete a year-long internship on a radiology program. During your residency, you will need to sit and pass several exams. Once your residency has finished you can choose to become a general radiologist, or you can choose to embark on a two-year fellowship in more specific areas of radiology, including neuroradiology and mammography. Perfusionists form a vital part of the cardiovascular surgical team as they maintain blood flow to the body and regulate oxygen and carbon dioxide levels in the blood when the heart is stopped during surgery. They do this by controlling the heart-lung machine. To become a perfusionist, you must have a Bachelor's degree in medicine or biology, chemistry, anatomy or physiology before enrolling in an accredited perfusion program. To become a Certified Clinical Perfusionist you must have completed 75 clinical perfusion procedures and must successfully complete a two-part exam administered by the ABCP. Occupational therapists assist patients to learn or re-learn skills such as eating, bathing, and other everyday skills. An occupational therapist can also help with emotional and developmental issues. After securing a relevant Batchelor’s degree you will need to obtain a Masters. You will also need extensive experience before being able to become an occupational therapist, and although you don’t necessarily need to be certified, it is useful to be so to give patients and employers confidence in your skills. To become certified, you must pass the National Board for Certification of Occupational Therapists.